We deliver customized solutions for complete property maintenance so that the first impression a client gets from your property is always positive. When you work with a reliable property maintenance company like Diamond, you can rely on us to protect your brand from the outside. Our site maintenance plans will make sure that your property looks clean and well maintained. Our property maintenance service is ideal for businesses both big and small, as well as commercial properties and community associations. After you contact us, we will survey your property and come up with the best plan to suit the needs of your site. We would love for you to join us as a site maintenance client. Call or email us and we will get you started right now. 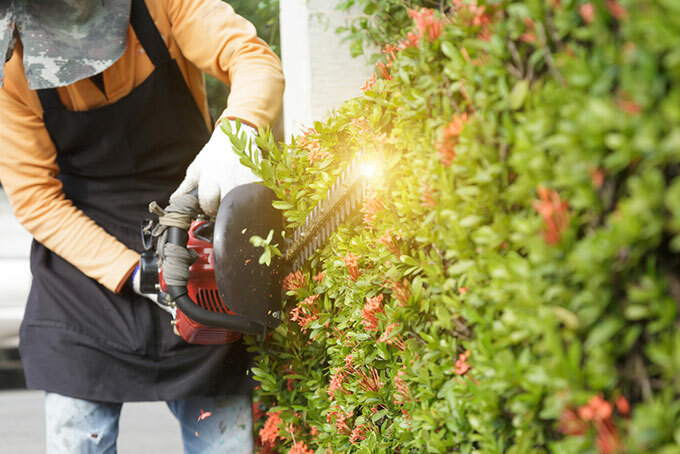 You’ll enjoy the peace of mind of working with well-trained professionals who will serve as your lawn and landscaping partners. Whatever you want to take care of on your property, Diamond Landscapes & Athletic Fields offers the specific services you need. We look forward to hearing from you about how we can maintain your property. Our competitive prices and attention to detail keep our clients relying on us year after year. Contact us today to request a no-charge, no-pressure on-site consultation at your business.